Leading actor in repertory with the Crucible, Sheffield, Theatre Royal, Lincoln, Arts Theatre, Ipswich, Crewe Theatre, the Forum, Billingham, Palace Theatre, Westcliff, New Theatre, Bromley, the Grand, Swansea and New Theatre, Hull. Over sixty professional roles include Romeo in Romeo and Juliet, Mercury in the Plautus' Amphitryon, Richard Rich in A Man For All Seasons,Tom in The Knack, the MC in Oh What a Lovely War, Teddy Graham in Rattigan's Flare Path and Elyot in Noel Coward's Private Lives. Member of the Royal Shakespeare Company.Worked with directors Trevor Nunn and Peter Wood, and the voice teacher Cicely Berry. Productions included Coriolanus, with Nicol Williamson, and Tom Stoppard's Travesties. Member of London's BubbleTheatre 1974 season. Director: GlenWalford. Appearances included the title role in The Jack the Ripper Show, First Voice in Under Milk Wood, and Barry Smart in the devised London Pub Show. 'Rowlands is excellent.' The Stage. West End appearances include John Galsworthy's Justice at the St Martin's. He has also toured in operetta, played in pantomime with Cyril Fletcher, and in stand-up at London's Comedy Store. TV and film work covers drama, presenting documentaries, voice-overs and adverts. Notable appearances include BBC's Over Sea and Under Stone,The Adventurer, Dr Who and the BBC documentary Perpetual Motion. Tony Rowlands has written and directed for the stage. His first play, The Family Joke, was presented at the Young Vic Studio, and his two-man revue, High Bridges was well received on the London Fringe. 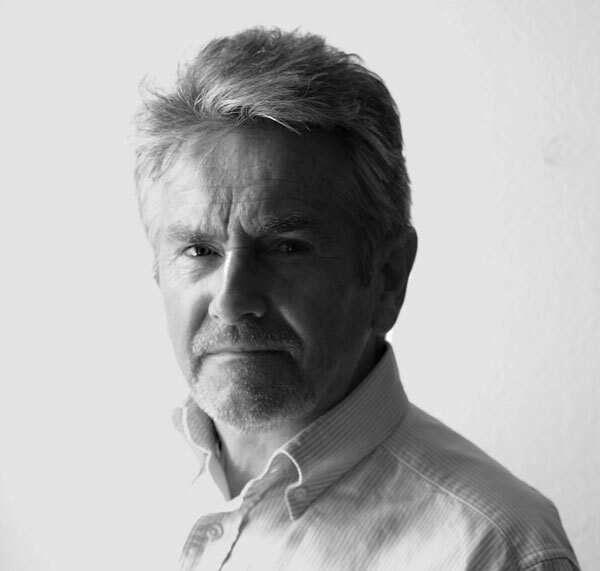 He has directed a significant body of student drama during seventeen years of teaching in Bristol schools and colleges, including Caryl Churchill's Top Girls, Mother Courage, A Midsummer Night's Dream, AsYou Like It and his own thriller The Mystery of Studio One. Directed Garrick's Miss in her Teens at the Georgian Theatre, Richmond for Bristol University's Drama Department. Founder director of Bristol's Other SideTheatre Co. Work to date includes a production of his own play Five Survive at the Hen & Chicken theatre, Under Milk Wood, and his own one-man show Telling Tales of Drunkenness, Cruelty and OFSTED. Designed and built The Blitz Experience, a hands-on history project for schools, complete with full sized Anderson shelter, for which he wrote an accompanying radio play Balloons Over Barton Hill. 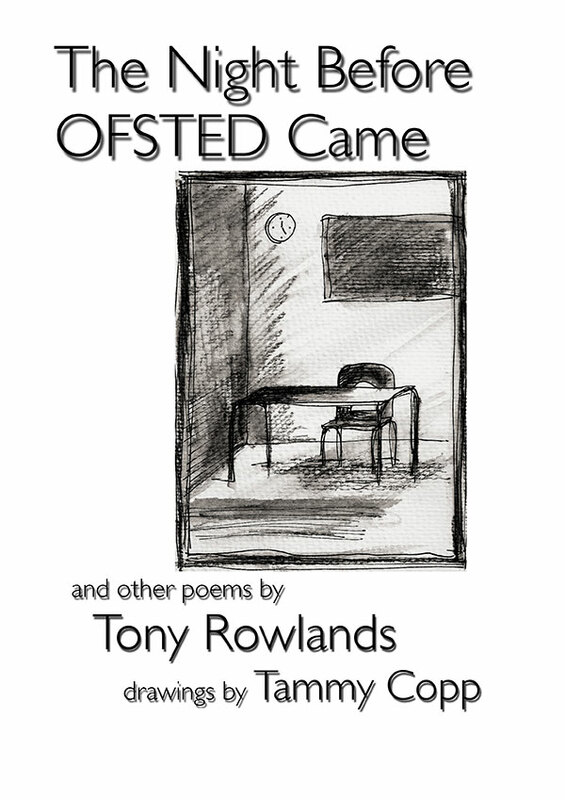 He has been a theatre critic for the T.E.S., and Bristol's VENUE magazine, has just published his first book of poetry, The Night Before OFSTED Came, and rejoices in the title of M.A. in Drama from the University of Bristol. He is married to Bethan, and has two grown up children, Jessica and Elinor. Height 5'8". Experienced sailor, carpenter and painter. Won't fall off a horse. Sings more or less in tune, and once danced professionally at the Marlowe Theatre, Canterbury. BBC Radio Bristol. Zauberjackl. Dir:Sara Davies. TheVoice. 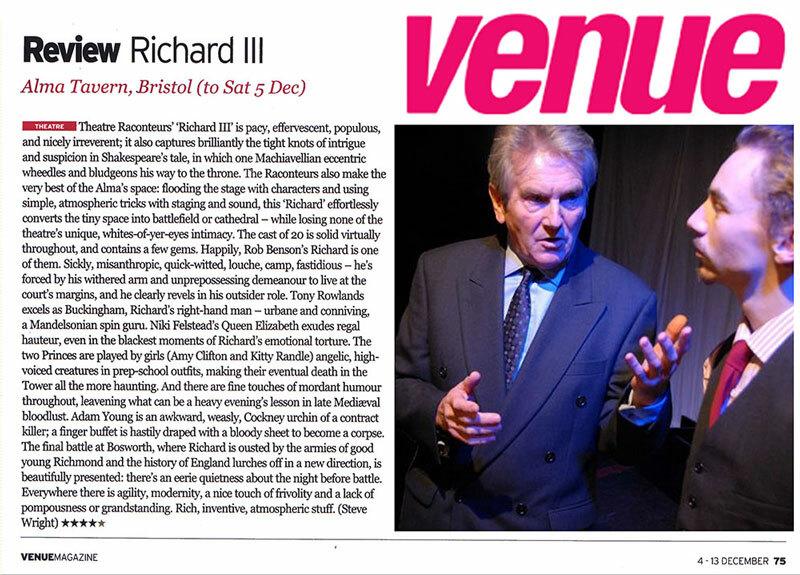 Richard III at the Alma Theatre, Bristol. Dir:Tristan Darby. "Tony Rowlands excels as Buckingham." Bristol's VENUE magazine. See image in slideshow. Show of Stength's Trading Local 2010 to 2015. Dir: Lynda Rooke and Ed Viney. Actor in Roll Up, Roll Up, Vindaloo Virgin and Murder by Design, writer of Sandwich Filler. 3 locations:Westbury on Trym, Staple Hill, and Knowle's Broadwalk. 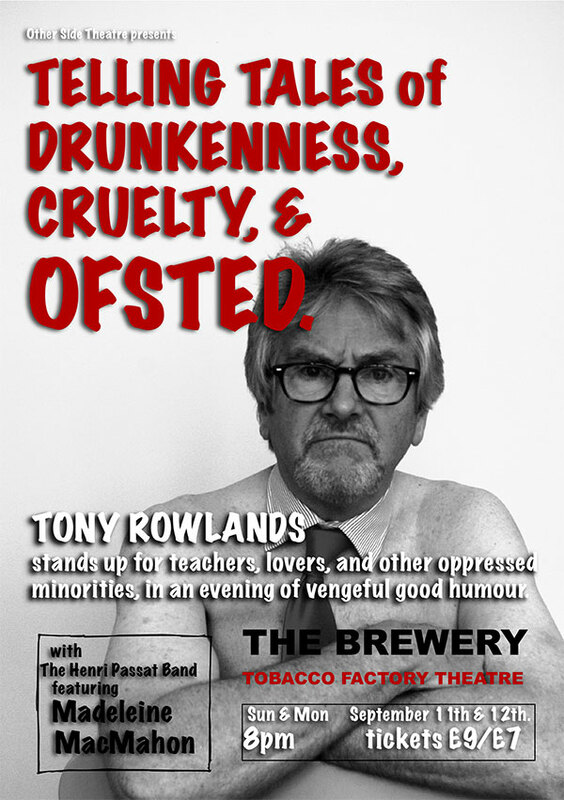 One-man show: Telling Tales of Drunkenness, Cruelty & OFSTED. Each performance sold out at The Brewery Theatre,Tobacco Factory, Bristol. Alma Theatre Bristol. 2015. 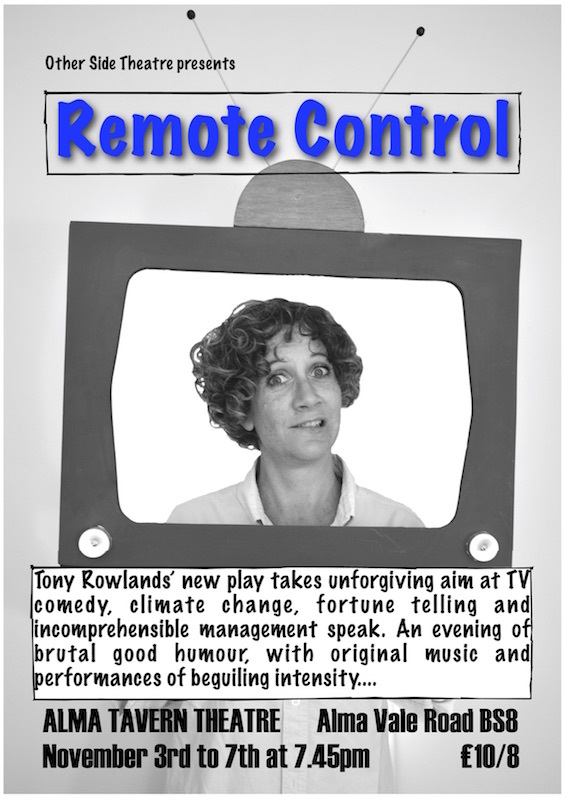 Wrote and directed 'Remote Control.' Multi-media show with stage action, film, which he produced and directed, and music, which he wrote. Sell-out success. See image in the slideshow. South Bank Club, Bristol. 2014 and 2015. Performer in Gill Loats' legendary Christmas pantomimes. 2016. Bristol Old Vic. Narrated 'The Bristol Hum' by John Lomas as part of the Old Vic's 250th anniversary celebrations.